A new segment. A new reference. 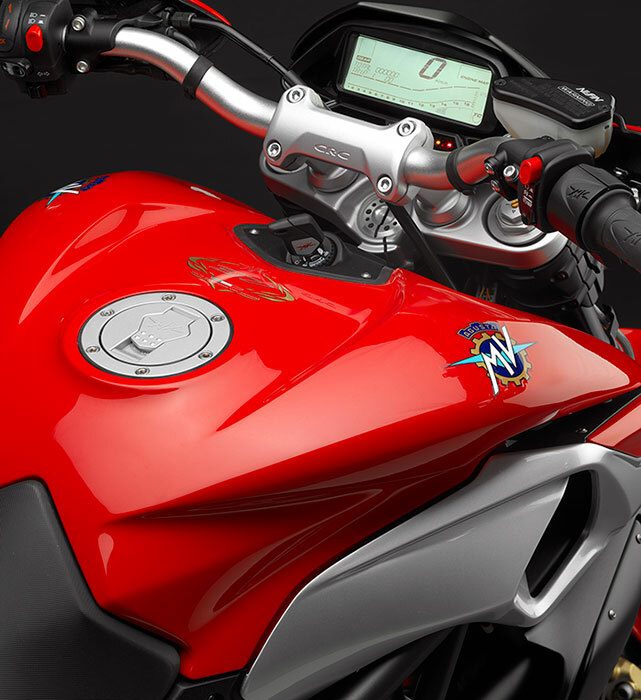 A new MV Agusta. The Rivale 800. Absolute enjoyment. MV Agusta Rivale 800. Unique both in design, performance, and absolute riding satisfaction. 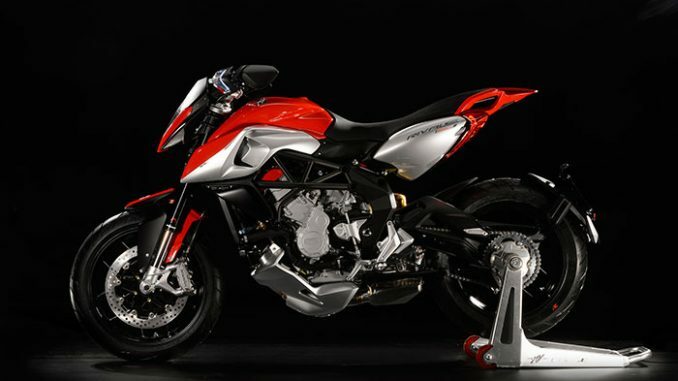 Unquestionably MV Agusta, Rivale 800 enters a new market segment to go where only emotions dominate. This extraordinary motorcycle boasts performance figures that leave little to the imagination: 170 kg, 125 hp. The unrivalled visual identity has been extended to every component and every surface of this machine. The MV Agusta Rivale 800 is a result of passion, experience, and inspiration to capture the essence of what is truly representative of our historic brand. It further expands upon our range with a new, eclectic interpretation of our modern three-cylinder engine that debuted on the F3 675 and also equips the Brutale 675 and 800 alongside the renewed four-cylinder family F4 and Brutale. The Rivale 800 exudes an emotive design from every angle. Dominating the road with its mix of harmonious and “discordant” lines, tense yet voluptuous, bordering on futuristic whilst retaining synergy with our past. Volumes are perfectly balanced, containing areas that draw your eye to an incredible level of attention to detail. A sculptural composition where the engine and the chassis are always at the focal point. The front-fairing is compact and discreet yet able to characterise the front ends exuberant personality. Three elements, the mudguard, the side panels and the fuel tank are individually united to form a strong visual shield graphic that makes this machine instantly recognisable. 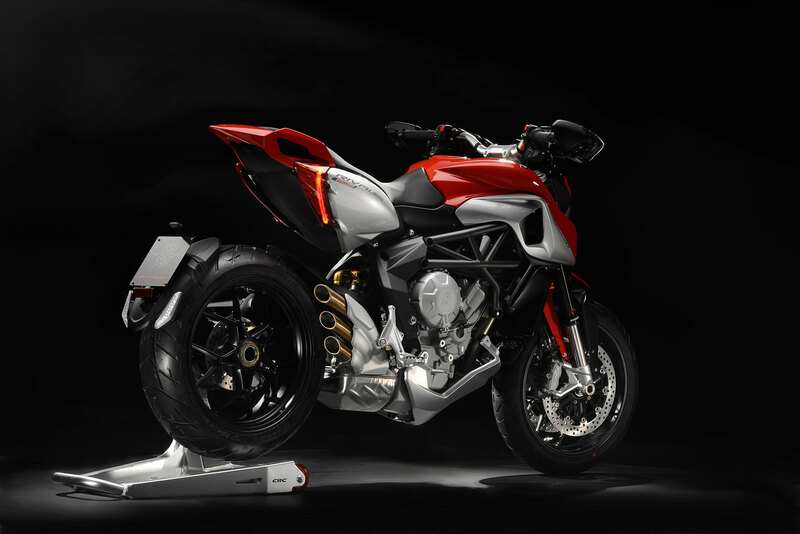 Singularly MV Agusta. The middle section is reduced to the physical limits and designed to promote an unhindered riding style allowing the rider maximum freedom of movement on a sufficiently large and ergonomically considered saddle. The rear is elegant, sinuous, yet incisive and characterised by twin trailing-edge floating blade lighting incorporating light guides to accentuate the rear profile. At the front LED/light guide technology is used in a similar fashion to highlight the profile of the vehicle while reducing visual width. This solution offers an absolutely distinctive identity while increasing the visibility and consequently passive safety. The three-dimensional amber turn signals are perfectly integrated into the beautifully designed hand guards. The rear side lights and brake lights are housed in two separate elements, while the direction indicators have been placed on small “dynamic” wings, which relate to the various number plate dimensions. The rear view mirrors are designed to be effective and integrate seamlessly into the design of the bike. They are retractable, for sporty driving on closed roads or on the track, and when open are also telescopic to improve and increment rear visibility. 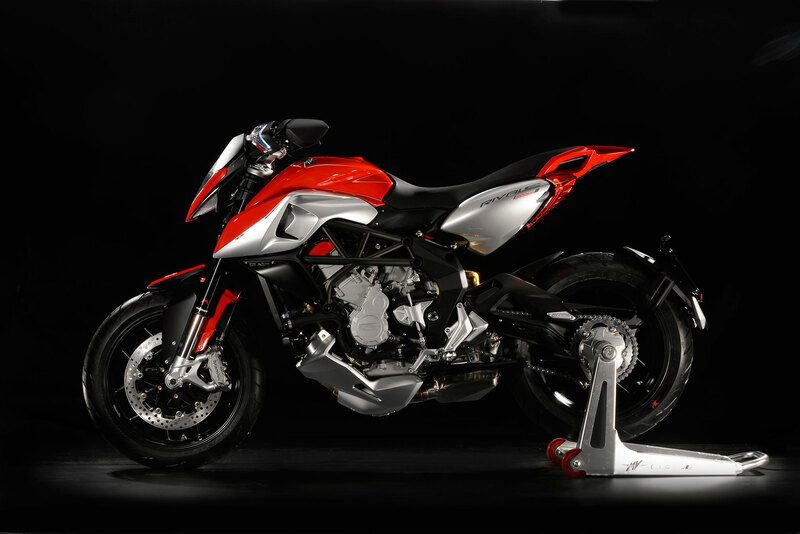 This outstanding MV Agusta Rivale 800 thoroughbred will be available in the second half of 2013. The dashboard has been designed specifically for Rivale 800 featuring a modern “monochrome” fully digital, multi-function display. It is compact to optimise the front fairing proportions yet remains perfectly legible while offering maximum availability of information and parameters. Chassis and engine are once again protagonists. A perfect combination of fine engineering excellence portrayed in a mix of sculptural beauty, mechanical purity, functionality, and total performance. Three cylinders, define the agile, swift, dynamic soul of the new Rivale 800; Beyond imagination. Compactness is an obligatory, aside from technological excellence. Our goals have been achieved and far exceeded. 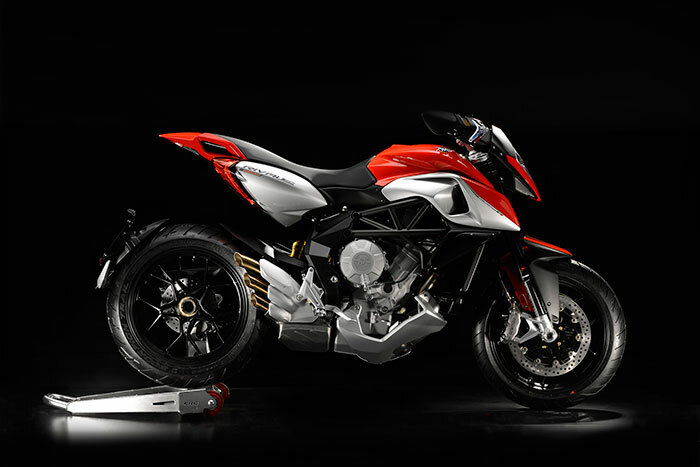 The three-cylinder in-line Rivale 800 boasts a counter-rotating crankshaft that debuted on our Supersports F3 675: a unique solution for a road based machine that epitomises MV Agusta’s racing spirit. 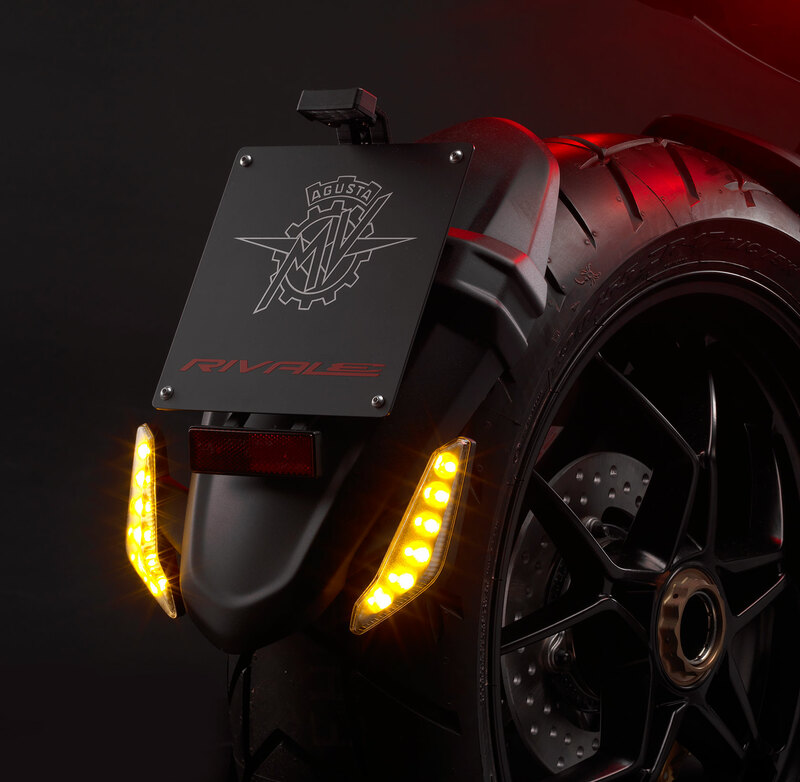 Technology MVICS (Motor & Vehicle Integrated Control System) allows for performance, smoothness of power delivery, ease of riding and extreme personalization, with three engine maps and a custom default. The Custom setting permits complete freedom to suit the personal requirements and preferences of the rider. The throttle control is Full Ride-By-Wire. 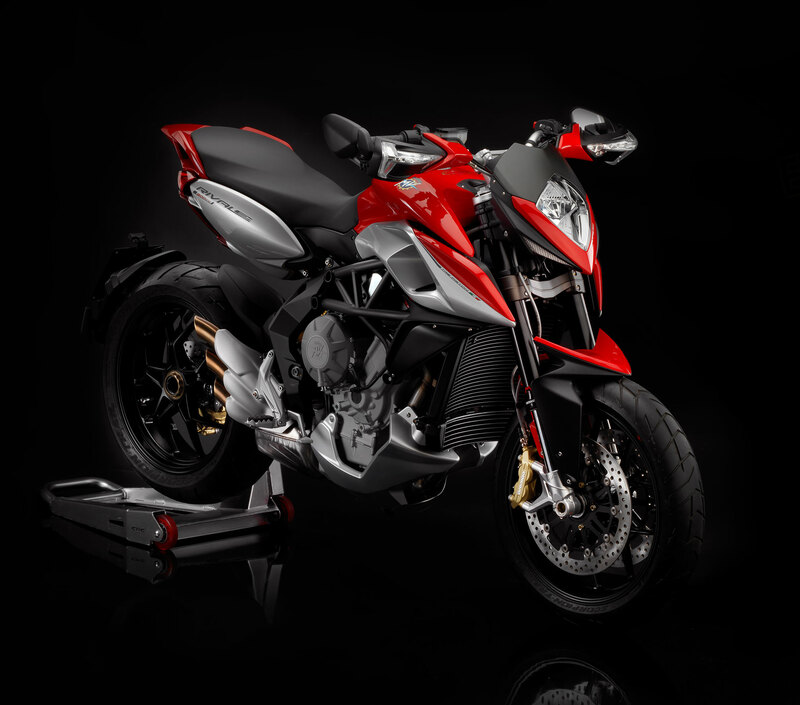 The frame is our signature MV Agusta philosophy. The front section is comprised of a steel trellis combined with a rear of two aluminium alloy plates, that act as a fulcrum for the sculpted single sided rear swingarm and suspension. The dimensions of the chassis have been redefined to ensure incredible handling: the angle of the steering head is half of a degree more open than the Brutale 800. The excursion of the fork and shock have also been increased to provide more comfort and conformity to the road surface. The suspension units are respectively by Marzocchi and Sachs. They are adjustable in spring preload as well as hydraulic compression and rebound damping. As on every MV Agusta, the braking system uses the best products to achieve outstanding performance. The pair of front 320 mm diameter discs are gripped by twin four-piston Brembo radial callipers. The rear is comprised of a 220 mm diameter disc mated to a two-piston calliper. US MSRP: See dealer for pricing. Model not available in Canada. See Rivale 800R, Brutale 800 or Brutale 675. UK MSRP: £9299 + OTR (AVAILABLE SUMMER 2013) RRP.